TDK today announced a new series of highly integrated, multi-channel power management modules for smartphones and tablets. Based on TDK’s SESUB technology (semiconductor embedded in substrate), the new module is the world’s first IC embedded power management module for smartphones and tablets. Aimed at reducing lead times and development costs for manufacturers of smartphones and tablets, the new product features a power supply management IC chip that is embedded directly into the substrate. 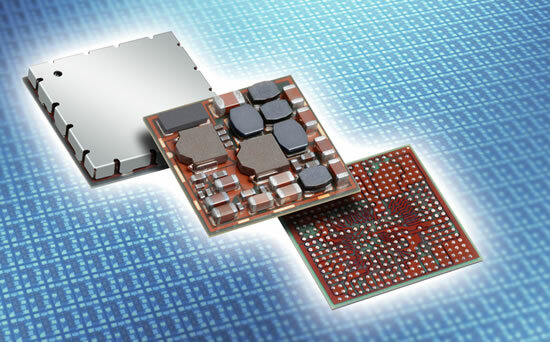 In combination with newly developed surface-mounted capacitors and power inductors, this results in a space-saving footprint that is up to 60 percent smaller than discrete solutions. The major features of the new power management module are its high-efficiency step-down converter power supply in a 5-channel configuration with a maximum output of 2.6 A, and its low-noise, low-loss voltage regulator power supply for up to 23 channels. A highly efficient lithium-ion secondary battery charging circuit is also included. The highly integrated module offers advanced multi-channel power management capabilities in a single miniature package with dimensions of only 11.0mm x 11.0 mm x 1.6 mm.